Caring for our horse’s skin and coat is often ignored, or at least underemphasized. The skin is the largest organ of the body and should demand as much time as other aspects of horse care. It is important to remember that horses sweat, unlike our domestic dogs and cats, therefore they have a different set of issues then dogs and cats. And because a horse is so large, if they have an “itch”, they can do a lot of damage quickly not only to themselves, but also to the area around them. Traditional routine care often involves brushing, and in some cases, bathing (typically just with water). Both are good at removing some of the salts (which are very drying) but this routine is not replacing /repairing the damage from the salts, sun and environment. The hair and skin need to be conditioned. And no, this doesn’t mean using a cheap, human conditioner. Human products are made to an acidic pH where the pH level of a horse’s skin and coat is almost neutral. Human products can actually add to a problem versus help it. Think of a moment about your own skin when it is dry and irritated and you are scratching non-stop. Now think about a horse with the same issue. It is not uncommon for them to rub their entire mane or tail out in 24 hours. Once this starts, they will create a trauma irritation on top of the original “itch”. It becomes a vicious cycle. Iv San Bernard has products to address this at all levels. From routine maintenance to avoid the problem, to stopping the itch when it occurs, to addressing the infection that occurs post-trauma. Our products are a new concept in addressing these issues. They are designed using the science of the skin and hair to keep them healthy so that issues don’t arise in the first place. 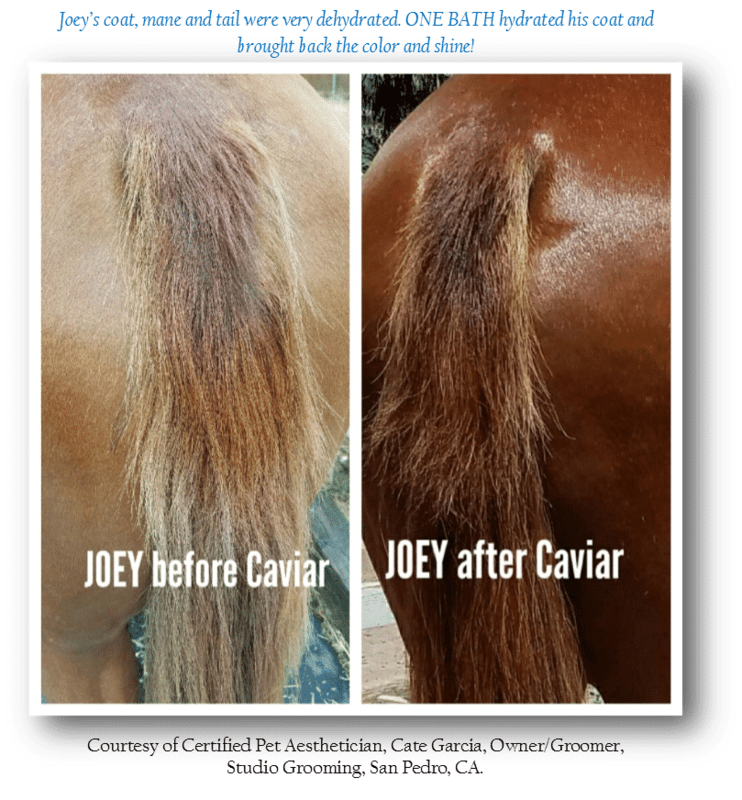 Often coats are so depleted and dehydrated from lack of proper care and from environmental damage, that you will actually see a color change in many of these horses when bathed correctly. Iv San Bernard is also a new concept on how to bathe a horse. Instead of using half a bottle of shampoo, we use as little as 4 tablespoons of product for a full size horse – and get better results. Ask our product consultants and staff about how you can get these results whether you just have a backyard horse or a top winning show horse. We can help you!